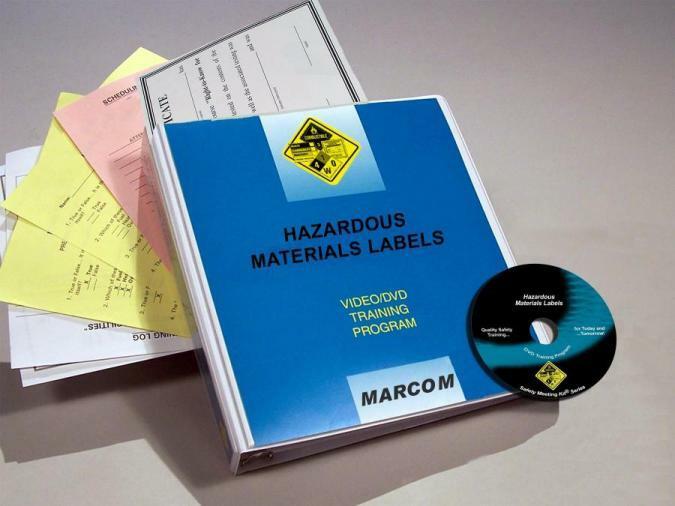 MARCOM's "Hazardous Materials Labels" Video Program is designed to help employees understand the characteristics of different labeling systems and the ways that each convey information. By recognizing the differences and similarities of these systems, employees will be better prepared to work safely around hazardous materials. One important method for identifying hazardous materials is through the use of container labels. From bottles and drums to trucks and railcars, labels and placards provide information about the contents of a container, as well as what to do and who to call in case of an emergency. Because this information is so critical for the safe handling and transporting of these potentially dangerous substances, several organizations have developed labeling and placarding systems to communicate to employees about a container's contents. Areas covered in the program include OSHA's Hazard Communication Standard, types of containers requiring labels, information required on labels, Department of Transportation (DOT) hazardous material classifications, DOT label and placard requirements, United Nations identification numbers, the Hazardous Materials Identification System (HMIS), the National Fire Prevention Association (NFPA) Labeling System, hazardous waste labeling, and more. The video program comes with a comprehensive leader's guide, reproducible scheduling & attendance form, employee quiz, training log and training certificate.